As a writer and book editor, my days are often spent accepting/rejecting changes in Word. Addressing edits here. Inserting comments there. Whether I’m working on my own writing or perfecting a manuscript for an author, I rarely work in a document without track changes turned on. 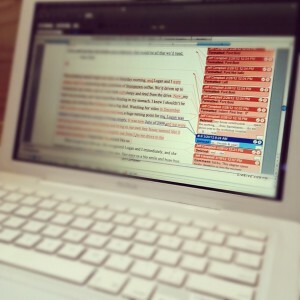 Here are a few tips to keep the editing process as painless as possible. Each time you open up a document to start a new editing session, take the time to hit “Save As” and append the date and time to the file name. This means you’ll always retain a trail of your changes. The file name that I prefer is generally: Day Month Year – Manuscript Name – Editor Name. This makes it easy to arrange my files based on when they were edited, as well as who did the editing. Early in my editing career, I willfully ignored this step and found – weeks later – that I needed something that had been deleted. I had to crawl back to my author and beg for an old version of the manuscript, creating tension in our relationship. Even if it’s your manuscript, it’s important to track your changes. Watch the evolution of your book carefully, only committing to a final draft without your tracked changes activated as you’re preparing to submit it for final processing with your publisher, book packager, or self-publishing company. 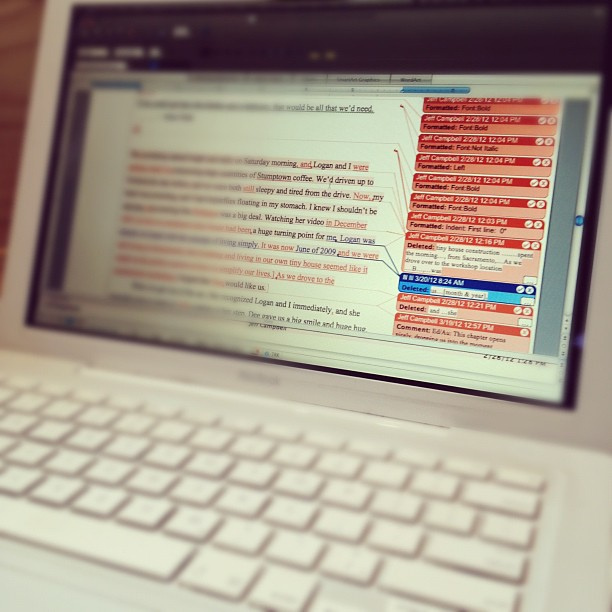 Don’t waste an author’s time embedding comments that ought to be edits. Comments should be saved for substantive questions and queries, not reworking sentences or inserting commas. There is, of course, a delicate balance when editing. You don’t want to step too aggressively on your author’s toes, but – if your change isn’t altering the voice of the writer – feel comfortable inserting the tracked change, rather than making more work for the writer’s review. Recently, I sat down for a marathon editing session on a manuscript that an author and I had saved in a shared Dropbox folder. Turns out, the author was working on the document at the same time and we ended up with a mess of “conflicted” copies. It took us weeks to get the document back in shape. Eventually, our mix-up delayed the publication date by almost eight weeks (thanks to the Christmas holiday). So, don’t be like me: always – ALWAYS – open and save a new version of a Dropbox document onto your harddrive. When you’re done working, upload the file (with your name and date) to the folder to let any collaborators know that this is your most recent version. Writers and book editors, do you have any tips and trips for working with track changes?